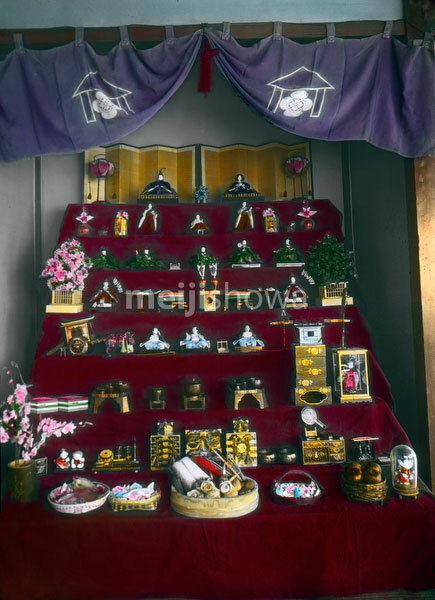 Elaborate display for Hinamatsuri. Also known as Girls’ Day or Doll Festival, it is held on March 3. Early 20th century.